The city of Presque Isle is contending with another round of buildings deemed dangerous by code enforcement, as well as tax-acquired properties. 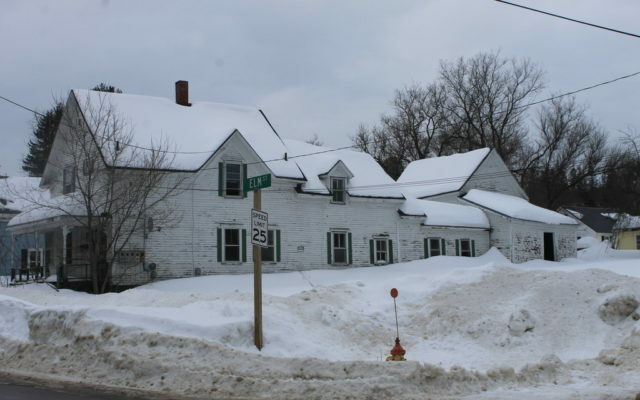 PRESQUE ISLE, Maine — The city of Presque Isle is contending with another round of buildings deemed dangerous by code enforcement, as well as tax-acquired properties. In early January, automatic foreclosures took place on 18 properties with unpaid taxes going back to 2016. Oftentimes before posting for sale, tax-acquired properties are offered for resale back to the prior owners contingent upon paying back taxes, interest and associated costs. Some municipalities waive the foreclosure of back taxes to allow the homeowner additional time to get caught up. Municipalities can also retain tax-acquired properties for their own properties, as the city of Presque Isle is looking to do with two properties, 49 and 58 Chapman St.
One property on Parkhurst Siding Road, with a 0.11 acre lot and a building that previously hosted Sunday school, will be offered to the abutting property owners. The other properties include three on Chapman Street, a home on the Spragueville Road built in 1880, and homes on State Street and Conant Road. The city is also moving to have four vacant homes declared as dangerous buildings due to code violations and safety hazards: 27 Braden St., 53 Ward St., 28 Elm St. and 257 Chapman Road. These buildings have problems ranging from collapsing roofs and broken foundations to flooded basements and mold, according to the city code enforcement department. Under a municipal condemnation order, building owners will have certain time frame to demolish the buildings or otherwise face penalties and a bill from the city for demolition.